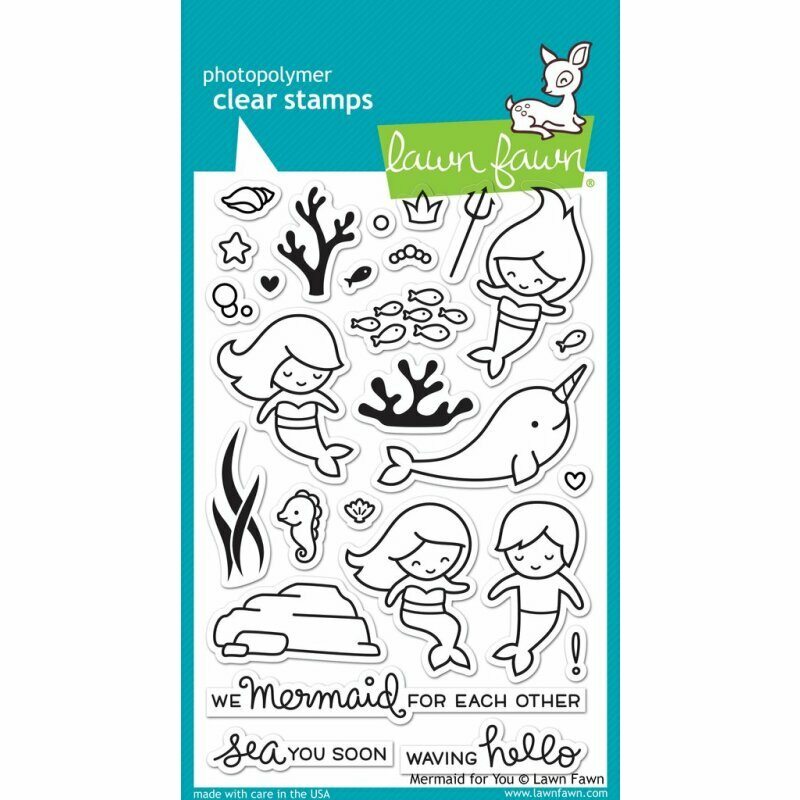 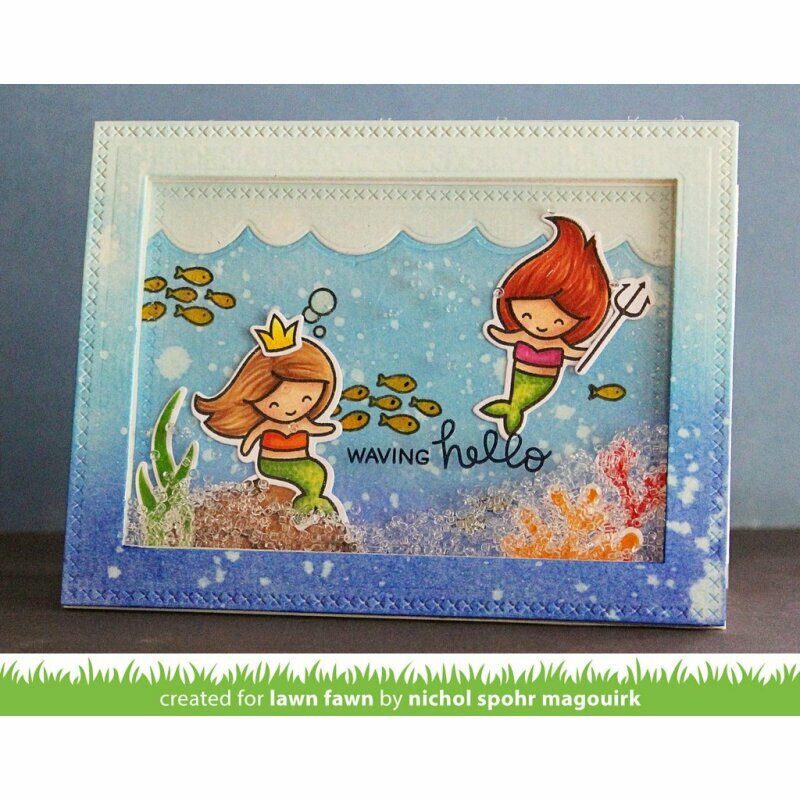 Make a splash with this cute set of mermaids (and a merman!). 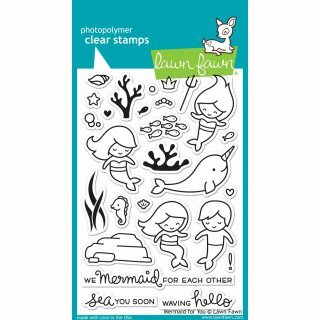 With lots of accessories and ocean critters, you can have fun under the sea or lounging on a rock by the shore. 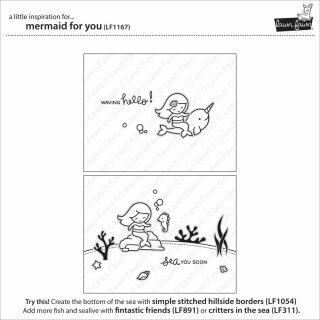 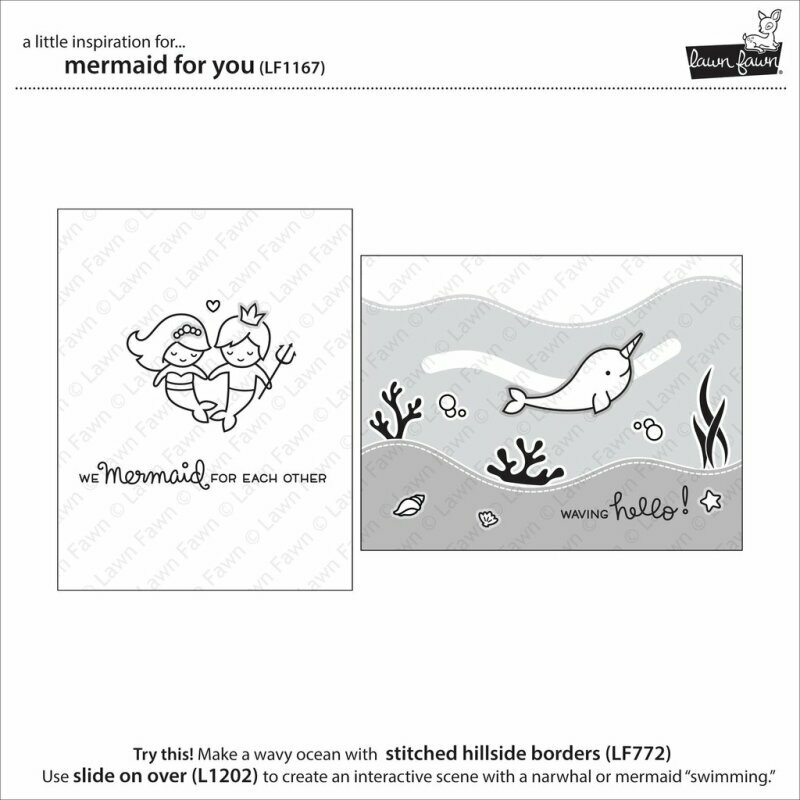 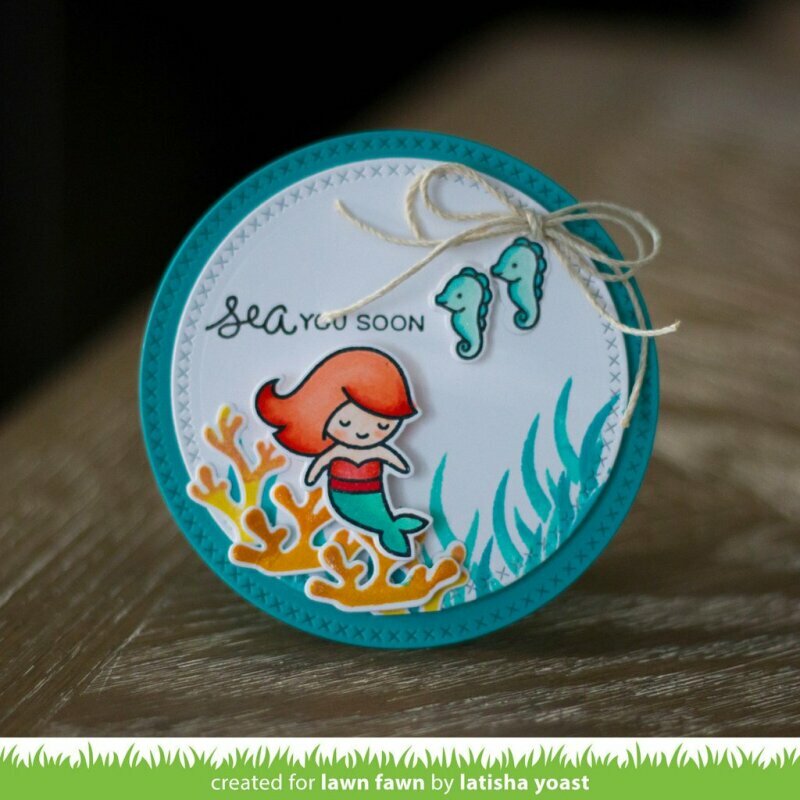 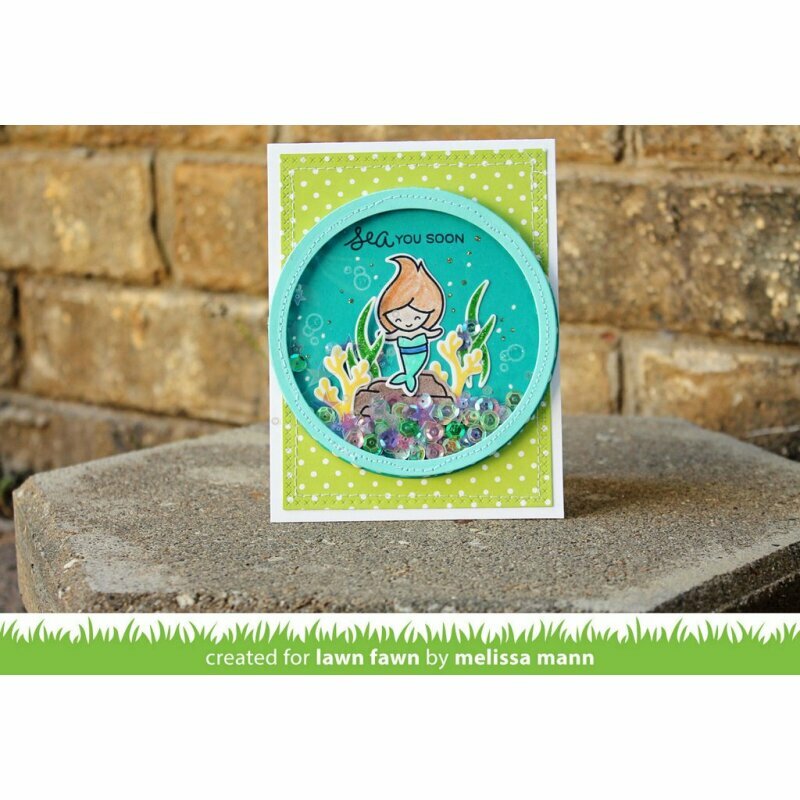 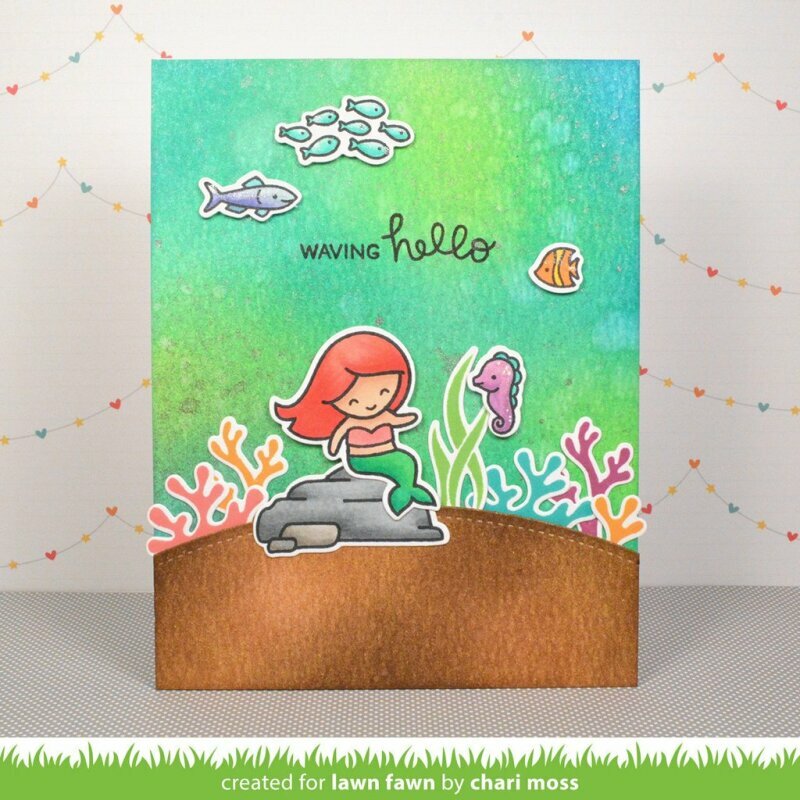 Create a detailed underwater scene complete with coral, seaweed, fish, and bubbles, or keep it simple with just a mermaid and a cute sentiment. 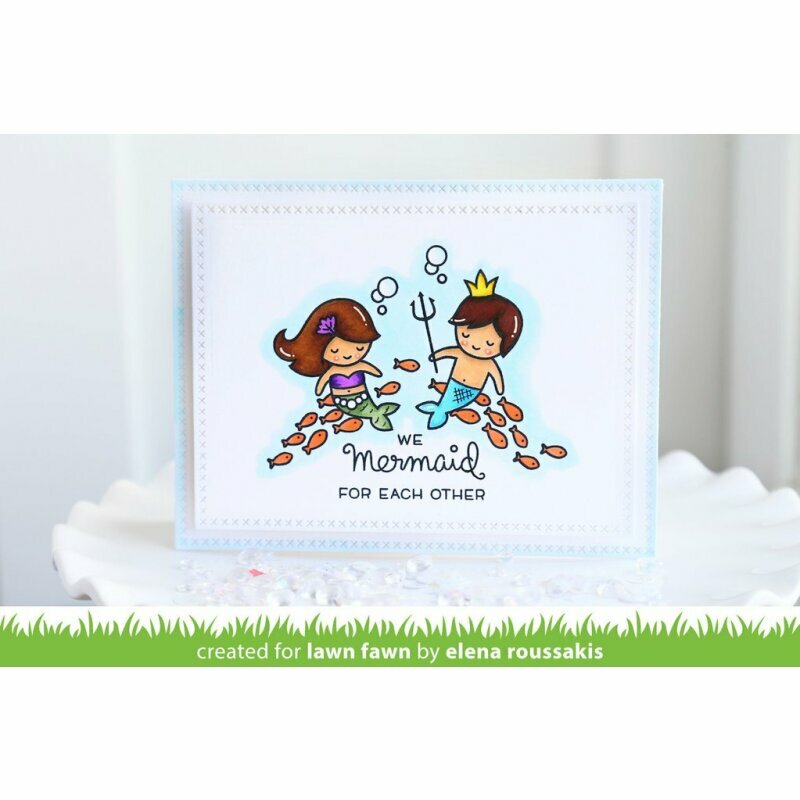 Layer a little seashell or tiara on her hair for an extra special touch! [upper right mermaid]: 1 1/5" x 1 7/8"
[narwhal] 2 3/8" x 15/16"
[merman] 1 3/4" x 1 3/16"
[rock formation] 1 1/2" x .75"